Our Carry Case Holder keeps Carry Cases easily and readily accessible. 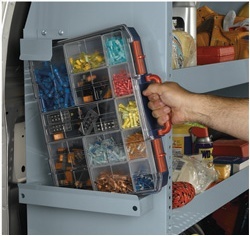 Carry Cases, sold separately, keep small parts and supplies organized and in place even when stored vertically. This Case Holder is comprised of two pieces: a base in which the case rests securely, and a "top stop plate" that holds the Case firmly, yet allows you to remove the Case from the Holder with just one hand. The Holder requires at least 17 1/2" of vertical space for mounting. 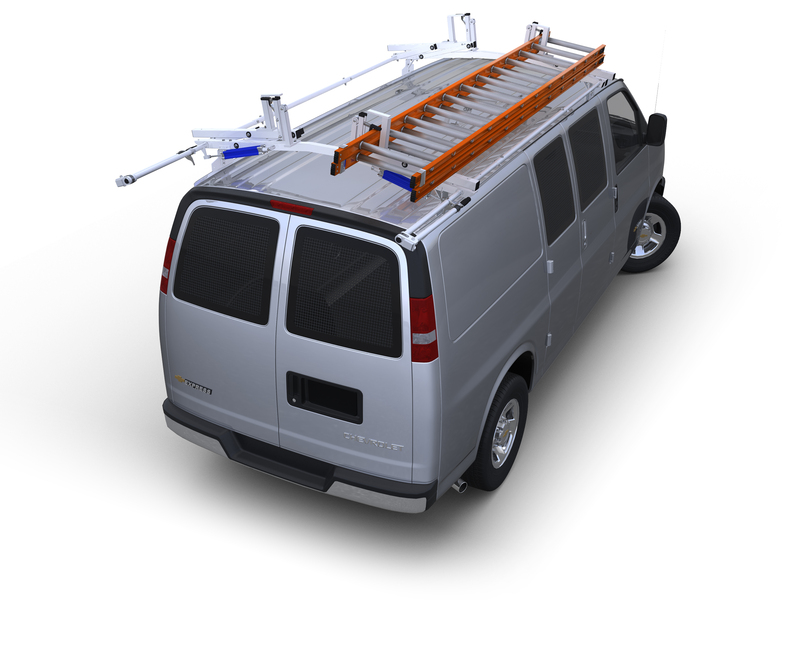 Constructed of heavy-duty steel with gray powder coat finish. 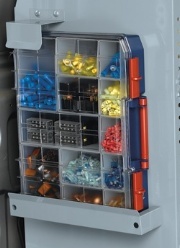 Carry Cases, feature 12 removable bins of different sizes, to hold small parts and supplies. Bins are 2 1/2" D. Durable, see-through lid gives you a clear view of contents. Commercial-grade polypropylene.